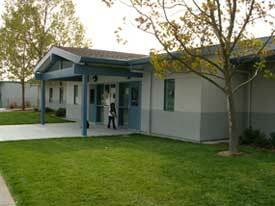 Brooks Elementary School is one of Windsor Unified School District’s elementary sites, serving 410 4th and 5th graders. Brooks Elementary School, with grades four and five, is one of seven schools in the Windsor Unified School District. The total enrollment to date is 335 students with a diverse student population consisting of Caucasian, Hispanic, Laotian, Cambodian, African American, Native American, and others. Our credentialed school staff includes a total of 16 classroom teachers, two Resource teachers, a Speech and Language specialist, a Music teacher, a Physical Education teacher, an English Language Development specialist, a psychologist, a counseling psychologist, a behavior specialist, two intervention specialists, trained instructional assistants, and additional support staff. Parents are formally involved in Brooks School through the Room Parent program, the School Site Council, and the Windsor Education Foundation (which includes our parent organization). Though our Room Parent program, many parents serve as volunteers and helpers in the classrooms, on field trips, with special programs, school events, and more. Additionally, an on-site after school daycare program is available. Some special project activities that occur in the fourth grade include a focus on the Gold Rush and the history of California. Mission displays seem to appear out of nowhere! In fifth grade, students explore the Colonies and the formation of our nation. Watch for California Day when children dress and learn as students did hundreds of years ago. The Student Council is an active part of Brooks Elementary with fun activities, theme days, and a commitment to help the world at large. Each year students may choose to participate in a school drama production, taking place after school. Music is alive at Brooks in the form of an active all-inclusive choir. In the Spring there is an Arts Day for all students. Technology at Brooks is growing at a rapid rate. There is a technology lab for formalized teacher instruction, as well as a collaborative lab where classes can go to work on collaborative projects using Chromebooks and a flat screen television. Students have access to iPads, classroom computers, and Chromebooks. Each teacher has a document camera and large flat screen television for displaying materials, accessing educational media from the Internet, and more. Our library continues to be a support for all students with scheduled weekly visits.